Europe is in the midst of its biggest refugee crisis since the Second World War, with over 500,000 asylum seekers arriving in the EU in 2015 alone. Many are fleeing terrible hardships in their home countries, and the situation in Syria has been a huge contributor to the surge in migrant numbers. When they arrive in Europe, they are often not welcomed with open arms, and they face a new problem if they are granted asylum: finding a home in a foreign land. Refugees Welcome is a German non-profit that matches refugees with people who have spare rooms in their homes. It works like a flatshare website – people advertise their room, giving a description of the area, the number of housemates, their interests and languages spoken. Refugees Welcome finds a refugee most suited to the household and a meeting is set up, and if all parties are happy the refugee moves in. Both tenant and householder stand to gain from the arrangement. The refugee feels welcome, has a stable housing situation and finds it easier to integrate and learn the language; the householder gets to help someone in need, learn about their culture and hear their stories from home. Financially, it is no different to any tenancy situation. Sometimes the rent is provided for by state funding, but when this isn’t the case, Refugees Welcome helps fundraise for the newcomer’s housing costs. They recommend crowdfunding and micro-donations – which the household can facilitate by reaching out to peers. Refugees Welcome has housed 224 refugees in Germany and Austria so far. They now have operations in Portugal, Spain and Greece, and are working to set up groups in 20 other countries. Contact them via http://www.refugees-welcome.net to set up a Refugees Welcome in your city. 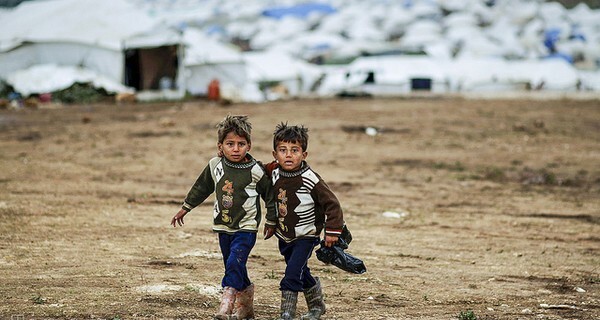 Image 'Syrian boys' courtesy of Freedom House.